Does Dodge know about this? Will it even care? “You are paying me for the right to walk into the dealership with me and have full rights to the vehicle that I was promised. You will then be able order your own customized Demon to whatever specifications you desire and the only thing that you will pay is the MSRP and your sales tax.” So much for avoiding dealerships markups. Speaking of dealerships, how does Mike’s dealer feel about him selling his Demon allocation? "I checked with my dealer and he’s fine with someone taking my place as they’re from the United States." It’s also important to note that the asking price here is $40k, so there could be some negotiating room. 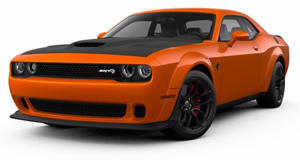 What we’re wondering is whether Dodge would consider this a dealership markup, in an indirect sort of way. This dealer is privy to what Mike is selling, and because Dodge wants to avoid customers being taken advantage of by greedy dealers, could this affect the car’s production priority? Remember, cars sold at or below MSRP will receive priority scheduling that’ll result in lower serial numbers. While we’re not accusing anyone of doing anything wrong here, someone selling their Demon allocation with the dealer’s full knowledge could (we emphasize "could") also mean a deal was made between the two parties, say splitting the profits 50-50? Then again, this could be nothing more than a guy with a kid on the way and a new house with no need for a street legal, drag racing muscle car. Why not start that kid’s college fund off right? For starters, absolutely no complaints. The question is, does it even make any sense? The most fun you can have without strapping yourself to a Space X Rocket bound for Mars.